The 2025H forklift makes up part of the LiuGong range launched by AWD Group. 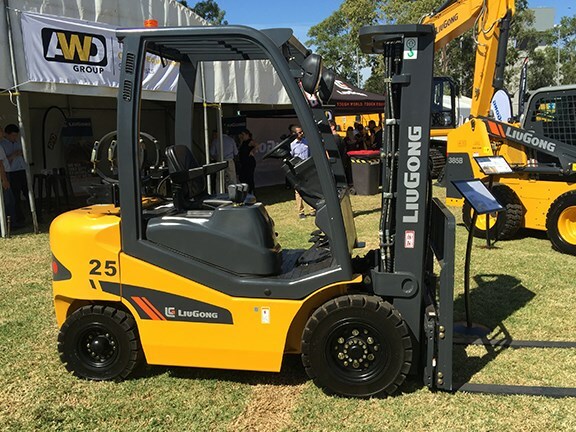 Forklifts, wheel loaders, excavators and skid-steer loaders make up the LiuGong range of equipment now being distributed on Australia’s east coast by AWD Group. 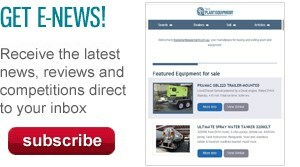 The Ingleburn, NSW, based company launched the range at the recent Diesel, Dirt & Turf Expo held at the Penrith Panthers club in Sydney’s west. With 15 years’ experience as the local distributor for Dieci telehandlers, AWD says its aiming to become one of Australia’s leading providers of capital equipment. "We are very excited about this opportunity to bring world class products to Australia," AWD Group chairman Paul Jenkins says. "We see this as an opportunity for the existing LiuGong customer base in Australia to receive increased parts and service support in the eastern states." Jenkins says that AWD chose LiuGong as a partner after an extensive search of Chinese brands and manufacturers. A big factor in the decision, he adds, was the fact that all LiuGong heavy machinery is built in-house.